I'm only in my first trimester and I've already had to make a big choice: I've decided to see a certified nurse midwife for prenatal care, labor, and delivery. The plan (which I hold loosely, as anything can happen) is to have an unmedicated birth in a hospital. There are a number of reasons I feel this is the best of both worlds, and I'm so lucky to get to choose this setup. As I learn more and more about midwives and their practice, I gain confidence and peace - and I also feel peaceful about giving birth in a hospital just in case I'm part of that 2% that have complications. We live nowhere near a hospital, so it feels like the safest option. From what I understand, the basis of the natural birth route is the belief that women's bodies were created to give birth - that pregnancy isn't a disease to be heavily investigated or treated as a medical condition. For thousands upon thousands of years, women have needed little to no help in giving birth. And in most of the world, birth is still attended only by midwives and does not take place in a hospital setting. So why now? My first prenatal appointment was with an obstetrician where I received an early ultrasound (so fun to see that tiny little bug-like baby!) and a boatload of information on all of the strongly encouraged genetic testing. I felt pressured to get tested for a myriad of possible chromosomal abnormalities, and to "sign on the dotted line" because it would "really help the whole process" if I opted for the testing. If I'd had a history of these problems or any real reason for concern, I might have been up for the testing. But knowing how famous those tests can be for false positives (from nursing school, not from this appointment), and knowing that I would not abort no matter what - it didn't seem necessary. And that didn't make any sense to the doctor. I left the appointment excited about being pregnant, but a whole lot more scared about the 1% possibility that my baby could have serious problems. Not fun. I went to a midwife next, hoping to gather information and compare my experience with the previous appointment. It couldn't have been more different. My mom went with me to this appointment, and we both left saying, "That was amazing." I can't wait to go back. The midwife was warm, gentle, and so encouraging that pregnancy and birth are beautiful, natural processes with very small chances of major complications. The midwives definitely use less technological intervention - only one ultrasound at 20 weeks - and when I declined the genetic testing, she calmly said, "I totally respect that" and had me sign the papers. She knew that I was a Christian and recommended a Christian doula and Christian birthing classes, and I left the office more excited and peaceful than ever about the next several months. All that to say, I have so much to learn. I'm reading Ina May's Guide to Childbirth, as recommended by my midwife, and soaking it all up. Please hear me say: this isn't a topic I want to push onto anyone, and I'm painfully aware that it can provoke a very heated discussion. That definitely is not my intention. I really believe that every woman should be able to make a choice for herself and her unborn child, and every birth is equally beautiful and exciting! I just want to share my own experience along the way to be thinking about birth in another much less popular way. As a doula, I think that is the best of both worlds too. :) I've met AWESOME, beyond amazing OBs...but if you are interested in less interventions rather than more, then a CNM is the way to go. Though I respect and sometimes work with homebirthing mommas, the evidence of homebirth safety is disconcerting for first time moms. I had my son with a CNM at a in-hospital birth center, and loved it. Just don't beat yourself up if something comes up and you don't have the "ideal" birth--every intervention can be a good thing if *you* need it. Wish you lived in Franklin and could be my doula! And yes... If I'm in labor for 30 hours or have some complication that needs intervention, I will be singing a different tune. :) All about the safety of a healthy baby ultimately. Yes! Call me crazy but I loved it (and just watched "More Business of Being Born" today). I watched the first one with Shawn which was a little much, but obviously very informative. I used a Christian midwife and doula for Abigial's birth. It was so incredibly amazing to have women praying over me, Abby and Ray as we journeyed through labor and delivery. It was so amazing that I am now studying to be a doula and cannot wait to get to do it again!! Also, I started off at a birth center and then after 38 hours of labor, (Abigial's asynclitic head head would not move and I had been in transition, at 9 1/2 cm for 5 1/2 hours) we headed to a hospital to a nurse midwife team. They, along with my midwife and doula, helped me deliver Abby, but only after my body had rested for several hours thanks to the help of an epidural. So, I got to experience both worlds! Though the ultimate goal is a healthy little person, we are so thankful we used a midwife, as she did everything possible to help us bring Abby into the world in the safest way possible. You are a warrior woman!! I loved reading your story and am so amazed that you were able to get through so many hours of really tough labor. So encouraging! I just found your blog a couple days ago and was very encouraged by your story. I recently read Ina May Gaskin's Guide to Childbirth (and will probably read it many more times in my life) and found it so gentle and encouraging. Women were made to give birth and it's more the fear and mystery around childbirth in our society that lends itself to complicated births. I also recommend watching The Business of Being Born. Congratulations on your pregnancy! It's great you've found a birth partner you are comfortable with and will support your choices. 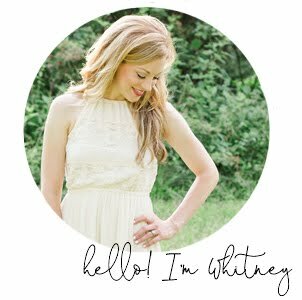 I look forward to hearing about how all of this goes for you, Whitney. I love how much there is to learn about so many options. And I have to admit that nursing school has really opened my eyes to wanting to benefit from the experiences of others, whether they are 'mainstream' or not. All the best to you-- and your sister. First off so many congratulations!! I have read your journey through nursing school and did not see that coming! I am a midwife in the UK which means all women are cared for by midwives from the get go and referred to an OB if a complication arises. I do work in a very high-risk hospital but my passion is natural childbirth. I watched 'the business of being born' and I feel so bad for the women who are forced to believe that childbirth is a medicalised event (it can be of course) but healthy women with healthy babies should not be subjected to medicalisation if they do not want to go down such a route. My first baby was born in Maine (I am pregnant with my second) and I used a midwife at a very laid back hospital. It was more of the experience I was looking for. They treated me like I was pregnant and giving birth, not like I was getting some type of medical treatment. I absolutely loved it. There are less of those options where we live now. Kind of a bummer but so glad you found someone you love to work with! 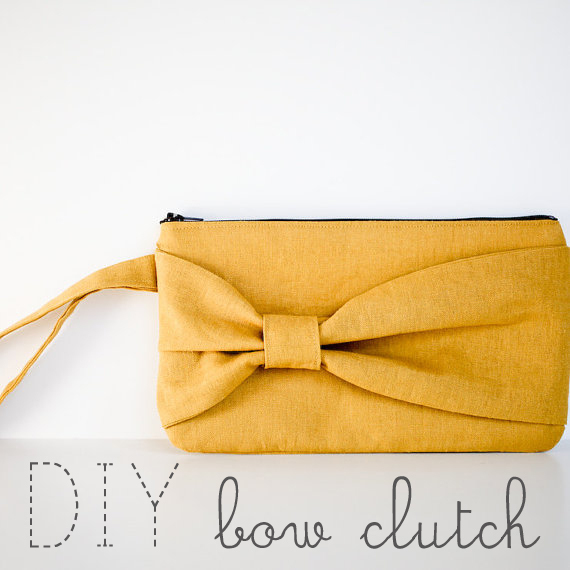 I'm a new reader :) and I found you via pinterest about a week ago looking at your bow clutch tute! I'll be praying for you and this baby! Thanks so much for sharing your story!!! I love hearing birth stories... I really do. And having seen some patients on magnesium... oh my. I'm so sorry you had to go through that (but so thankful your babies are ok!). I should've mentioned in the post, but YES I'm giving birth in a hospital on a normal OB floor, but with a midwife attending the birth. It's a large university research/teaching hospital, so they get the highest risk OB patients in middle Tennessee. So I'll be in one room... and a high risk delivery could be in the next room over. The midwives are closely tied in with the OB docs and can call them over at a moment's notice. Yet another reason I'm glad to be delivering in a hospital!! Thanks so much for sharing and for you prayers! I recently found your blog and am enjoying it! Congratulations on your pregnancy! I don't usually leave comments on blogs, but felt led to do so. I just delivered my fifth child at home with a wonderful midwife. After delivering our first in a hospital, we decided that the hospital was a high stress place and not the best place for me to give birth. The next child was born at home and we fell in love with homebirth. For US, this is the best option and we would never do anything else. I just wanted to encourage you in your quest for a natural birth with a midwife. Our bodies were made to give birth naturally and we CAN do it... YOU can do it. God made us wonderfully to give birth and in most cases we can do so without complications. I would encourage you to have lots of help and support (mom, doula, sisters, etc.) because labor can be long and hard at times. 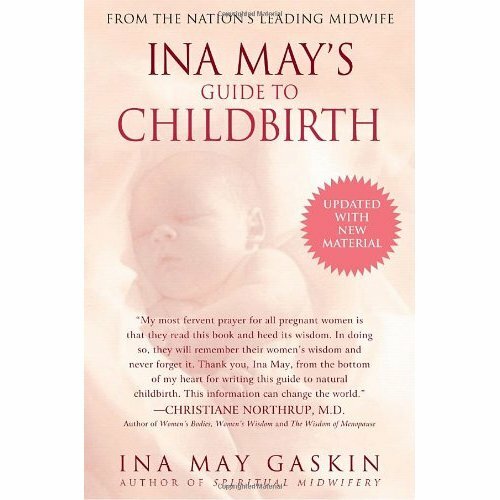 I love Ina May and read her book everytime I am pregnant, so glad you found it! Ask God for His help always and best wishes for you and your baby! Congratulations! It is so fun to see others who have delved deeper into the idea of natural birth in relation to God's design of a woman's body. Of course, things can and do go wrong some times, but following your convistiuons is so important. So is taking responsibility of your birthing experience rather than showing up at the hospital and handing the whole experience and decisions over to a doctor. they can help, but this is your body and it will tell you what to do. Keep reading and keep preparing to be empowered by this wonderful experience. I am getting ready to give birth to my third baby in a tub of water in my childrens' bedroom. I know it's not for everyone, but I have had the most wonderful experiences and have nothing bad to say about using a midwife to facilitate the birth of my children. All the best!